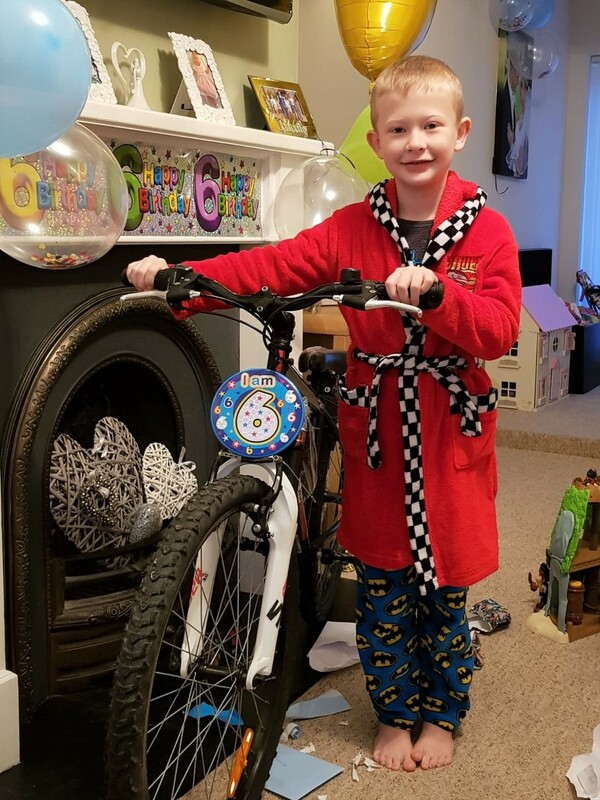 As you can see, Finley is six years old today and he has a fine new bike for his birthday. His Daddy sent me this picture. Happy Birthday, Finley! You have a wonderful bike. Aaw ! - he does look pleased ! - lucky boy ! Happy birthday! That's one excellent bike . No wonder he's smiling! Love the formular one style dressing gown too.